Despite an increased focus on screening, sepsis deaths recorded in England’s hospitals have risen by more than a third in two years. Each year in the UK, sepsis, also known as septicaemia or blood poisoning affects 150,000 people, 25,000 of them children. A staggering 44,000 people die from it each year, giving sepsis a higher mortality rate than heart attacks and some common forms of cancer. It’s a condition caused by the body’s immune system responding abnormally to an infection and becoming overwhelmed by it. It can affect anyone at any age, however, it tends to be a particular danger to the very young and very old. People are more likely to develop sepsis after a viral illness like a cold, or a minor injury. One in four of all sepsis survivors suffer permanent and life-changing after effects. Signs and symptoms can be missed, or misdiagnosed as less serious conditions, particularly in children. It’s estimated that 14,000 lives a year could be saved by better and faster recognition of the symptoms amongst health care professionals and the general public. Gangrene is a serious condition where a loss of blood supply causes body tissue to die. Anyone can develop gangrene, particularly after a serious injury, but people who suffer from long-term conditions such as diabetes and atherosclerosis are more at risk. In 2013-14, more than 35,500 cases of gangrene were seen in hospitals in England. It can lead to amputations being required to save the spread of infection. It’s been estimated that each year in England, 300,000 people who go into hospital pick up an infection there. MRSA is a type of bacteria that’s resistant to many widely-used antibiotics. A recent study showed that MRSA infection outbreaks occur not only in hospitals but also in the community, and estimates that 3% of the UK population, approximately two million people, carry MRSA. It can cause a range of illnesses from minor skin infections to sepsis. C Difficile is another form of hospital-acquired infection. Whilst mild in healthy people, if contracted by a patient in a weakened condition it can be much more serious or even fatal. The charity MRSA Action reports that nationally in 2015-16, there were 19,269 cases of C Difficile. Over the years we have managed a number of cases involving sepsis, gangrene and other serious infections. The consequences can be devastating, life-changing and sometimes fatal. In one recent case, a client had to have his leg amputated following a delay in referring him for vascular assessment, and as a result his toes became gangrenous. In another case, a client with a severely infected leg wound risked significant renal failure when hospital staff failed to treat his wound appropriately. 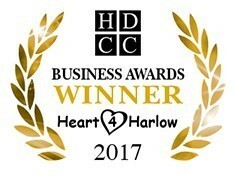 Our solicitors work from four office locations, including Harlow. 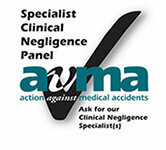 We specialise in medical and clinical negligence claims and, by keeping up to date with the law and recent developments in medical treatment we have earned a national reputation for claims against hospitals, GPs and other health care professionals. You can read more details about our other areas of work here. If you or your family have been affected by a delayed diagnosis, poor-quality or inappropriate treatment, and have reason to believe that this could have been prevented, then do get in touch by calling us on 0203 871 9258 or email medneg@attwaters.co.uk. You can speak to one of our Nurse Advisers who will be able to assess whether you have a potential claim, and advise you of the steps we can take to assist you.